As SFP Wealth's Investment and Retirement Plan Analyst, Raymond wears a few different hats within the firm. Ray is a Retirement Plan Relationship Manager and is responsible for providing a smooth on boarding process for all new corporate clients. He manages all benchmarking and due diligence research for the firm's Partners. In addition, Ray works alongside our advisors, assisting personal clients in the individual wealth management space and is a member of our Investment Committee. 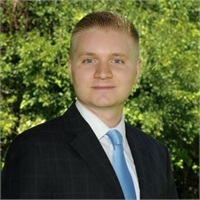 Raymond graduated in May of 2015 with dual degrees from the University of Massachusetts Amherst with a Bachelor of Business Administration in Finance from the Isenberg School of Management, a Bachelor of Arts in Italian Studies and a minor in Economics. Raymond holds the Chartered Retirement Plans Specialist (CRPS®) designation, Series 7, Series 63, and Producers Life, Accident and Health or Sickness licenses and will be sitting for the CERTFIED FINANCIAL PLANNER™ designation in 2019. Outside of the office, Raymond enjoys athletic activities, going to concerts, singing karaoke, traveling, cooking with family and hanging out with friends. He likes to keep busy and is always looking for a new challenge!